Comfort food recipes are usually overwhelmingly indulgent, and terrible for you to boot! This baked potato recipe is a lighter take on those delicious salty flavors everyone craves. 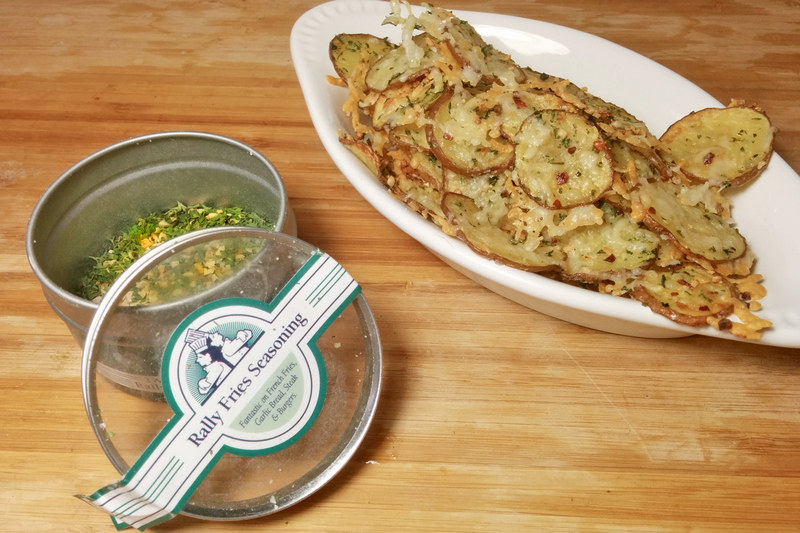 With the aid of Two Snooty Chefs’ Rally Fries seasoning (included in our Garlic Kit gift box), this snack or side dish is packed with garlic and herbs. Plus, it’s ready in under 30 minutes! For an extra-garlicky treat, use Bibs’ Garlic Infused Olive Oil–and you guessed it, that one’s in our garlic lover’s gift box, too! 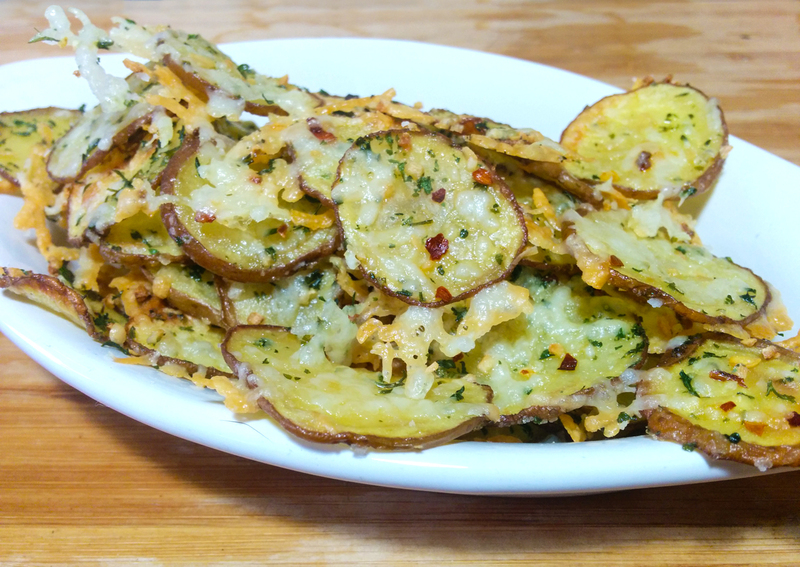 Slice potatoes into 1/8-1/4″ rounds. Add to a bowl and drizzle with olive oil. Toss to coat. 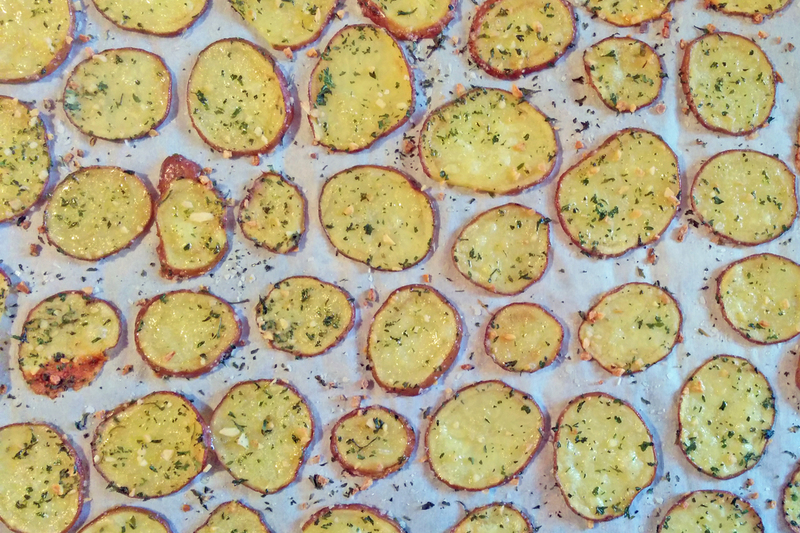 Line a baking sheet with parchment paper and arrange the potato rounds in a single layer. Sprinkle lightly with salt and Rally Fries Seasoning. Bake for 15-20 minutes or until potato slices have just reached your desired crispiness. Remove from oven. Sprinkle with crushed red pepper and grated parmesan cheese. Return to oven for 3-5 minutes, or until cheese has melted and browned slightly. Optional: serve with ranch as a dipping sauce.